Your dog can’t talk, can she? That’s a joke of course. However, she does “speak” to you. No, not when she barks, BUT when she postures her body. Can you really read your dog’s body language? Yes, yes you can AND when you read their body language, it’s much like reading a humans’ body language. You will find that they are pretty similar. When you see someone who is visibly upset and angry you know it, don’t you? They are usually frowning, have a tendency to be stiff, and seem to be leaning towards you. 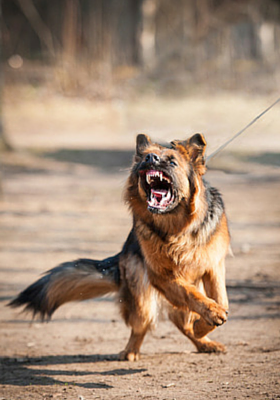 This posture is much the same when you are dealing with an aggressive dog. Well, you’ll also see that the dog is stiff and their tails may be sticking straight up. You may also see wrinkles and lines in their forehead (yeah, dogs frown too!) and their teeth may be showing as well. What you also may find is that the dog leans towards you, almost in a stance ready to pounce. If you recognize this type of aggressive body language, then it’s time to take action. When someone is afraid, the posturing takes on the opposite of what can be seen in anger and aggression. Instead of leaning forward ready to pounce, we sometimes shrink back and get lower. When you look at a dog, the same thing happens. They start to crouch down on their front paws, their ears go back and their tail may even go between their legs. 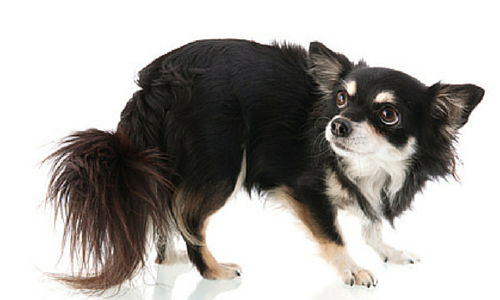 If you start to see this behavior in your dog, do your best to look around to see what may have caused it. Is there a fire alarm going off nearby? Is there another dog intimidating them? Is there something in the house that may have triggered it? 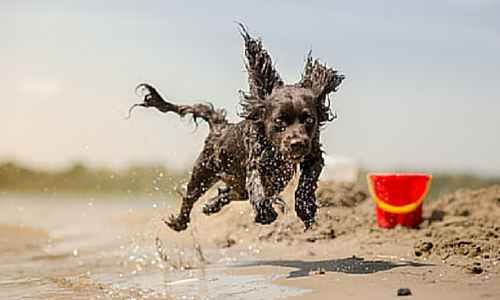 When you see your dog exhibiting this type of behavior, then it’s time to check and see what’s going on. When someone is in an excited mood to play or have fun, they’ll generally be smiling and perhaps bouncing around – literally. When you look at a dog, you see the same behaviors. They are lower on their front paws; they have their mouths open and smiling, tails up and just bouncing around. If you see this behavior then you’d better be sure that you had your coffee for the day or else you’ll run out of steam. There are other behaviors you can watch for, but watching the body language of these three types will help you to better understand your dog and what to do. If you have any further questions concerning how to read your dog’s body language, please contact us; we’d welcome the opportunity to hear from you and what you have to share.